Tom Hardy has his first nemesis in Sony Spider-Man universe, and it isn't Tom Holland. Instead come October 5th 2018, Venom will be going up against his symbiote brethren: Carnage. This seems like a good decision based on the fact that comics fans have been clamoring to see Carnage on the big scree since the Sam Raimi era of Spider-Man, there is also still some confusion on what part Tom Holland's take on Spider-Man will be in these recently announced Spidey spinoff films. 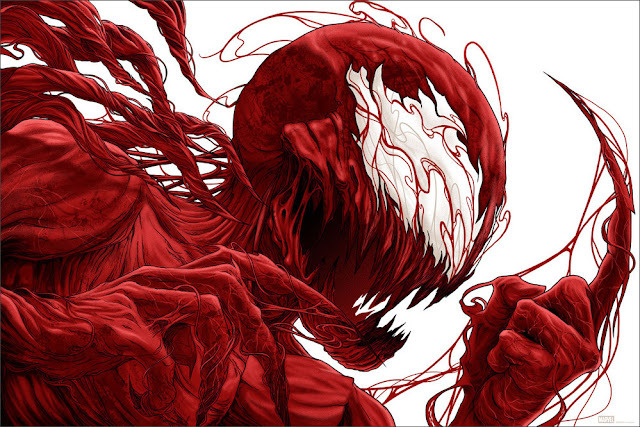 *Cover photo courtesy of Randy Ortiz's Carnage Poster!